The “but” is that for every 20 of those bottles, there’s probably only 1 that is a bargain. If you’re into your wine and looking to enjoy it, rather than just drink it, then the other 19 are a waste of money. Unfortunately the Verdejo I had this weekend fell amongst those 19. It’s hard to criticise too much. This was one of Sainsbury’s entry-level releases. This was not the “next level” Taste The Difference range, which I (and quite few others) have been continually impressed by all the way through this year! If you’re just looking for a bottle of non-descript white wine to drink, then why not, eh? Problem was, I wasn’t. I was after trying a Verdejo. 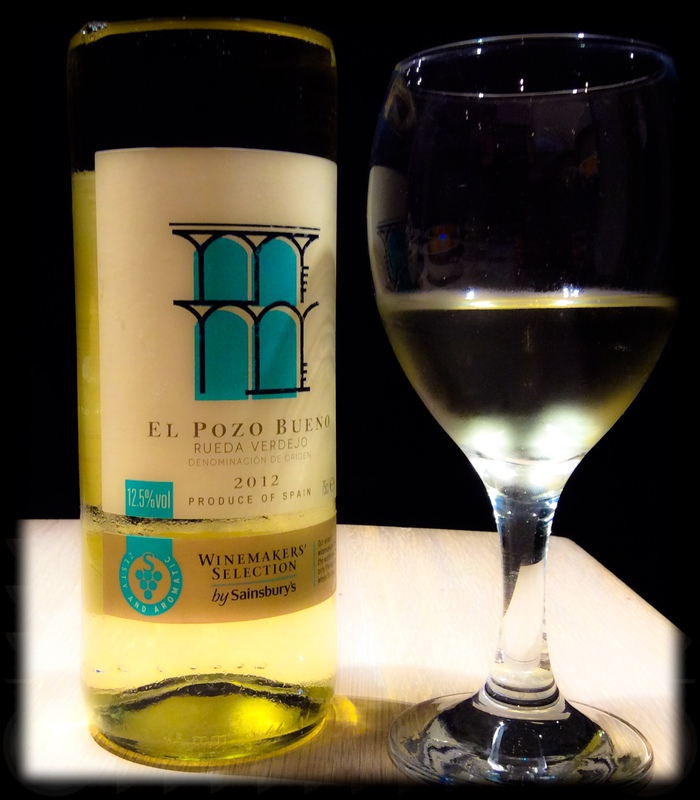 A classic, fresh, fruity, and expressive Verdejo. I just didn’t get it from this. The smell was ok, I got the apple and peach fruit, and a massive kick of lemon. On the taste however, the balance was not there, the body was a flabby medium level, it was way too acidic, and the finish was too tart (yet mercifully short). Look, it could have been anything really. I marked it seriously, and it came out at 4/20. It was just disappointing. Verdejo is a top, top white wine from a country that makes wines to go with great food. I’m not having a go at producers/retailers catering for people who don’t really care what they’re drinking, but for those of us that do, please please please can we have a TTD (or equivalent) Verdejo at some point soon! Always a shame to have a disappointing wine. Here in the States, it’s getting harder to find good wines around $10, but if you search hard enough, there are a few gems.